Spider mites, (Family Tetranychidae, Order Acari), are not insects; they are very small arachnids closely related to spiders and ticks. Among plant pests, mites are among the most difficult to control, and are responsible for a significant portion of all pesticides used on ornamentals. Individual spider mites are almost microscopic, yet when they occur in large numbers, they can cause serious plant damage. Many different species attack shade trees, shrubs and herbaceous plants. Once present, spider mites are seldom eradicated, but their numbers can be reduced and managed at levels that are almost undetectable even by the best of scouts. Hemp and russet mites are part of the eriophyid family of mites. Among the 100 or so plant-specific eriophid species, including gall, rust, and blister mites, the ​tomato-attacking, microscopic russet mite is among the hardest to detect. Visible, if then, only in clusters, a single mite is too tiny to be seen by the human eye without magnification of 10x and higher. Their near invisibility makes these mites a particular threat to become established in your garden before you realize it. Unlike spider mites, these voracious plant pests leave no webbing or other secretions when present. Visible damage to the plant is the first indication of its presence a damage often mistaken for mineral and other nutritional deficits. Powdery mildew is a fungal disease that affects a wide range of plants. Powdery mildew diseases are caused by many different species of fungi in the order Erysiphales, with Podosphaera xanthii (a.k.a. Sphaerotheca fuliginea) being the most commonly reported cause. 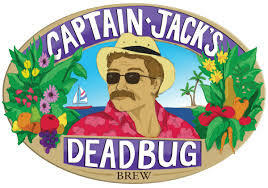 The active ingredient in Captain Jack's Deadbug Brew is Spinosad insecticide, that is a naturally occuring soil dwelling bacterium. This unique bacterium was collected on a Caribbean island from an abadoned rum distillery in 1982 and has never been found anywhere else in the world. Spinosad pesticide Kills bagworms, borers, codling moths, spider mites and others. Safer® Brand Insect Killing Soap Concentrate eliminates insect pests so your garden plants can grow healthy and strong. 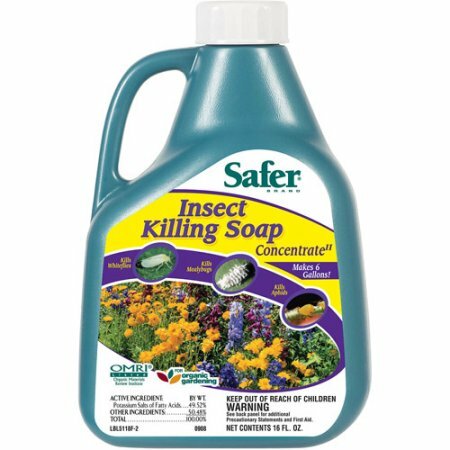 SAFER® BRAND INSECT KILLING SOAP – 16 OZ CONCENTRATE – HOW IT WORKSSafer® Brand Insect Killing Soap Concentrate eliminates insect pests so your garden plants can grow healthy and strong. 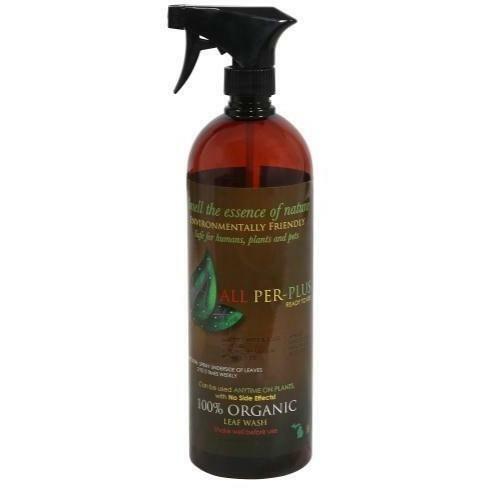 This special formulation of insecticidal soap and seaweed extract kills soft-bodied insects while remaining gentle enough to spray directly on your plants. Safer® Brand Insect Killing Soap has no unpleasant odor, so you can still enjoy the natural aromas of your garden.Most importantly, this OMRI Listed® insect killer is compliant for use in organic gardening so you can stay true to your plans for growing your fruits, vegetables and flowers.